Sculpting the back will strengthen your core and whole body, improve your posture and make you look far more toned. 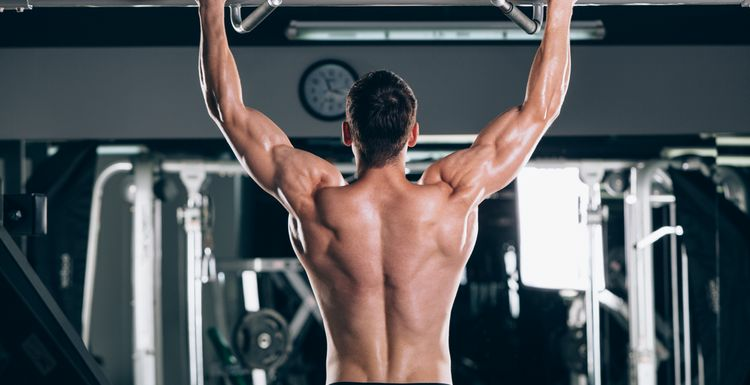 Bodybuilders are dead keen on this one which is a really effective back exercise. Sit down at a lat pulldown station and using an overhand grip just past the width of your shoulders. Pull your shoulders back and down and bring the bar down as far as your chest. Pause for a moment and then slowly return to the starting position. When you do this one correctly the deadlift is a brilliant exercise for shaping the back. The movement of the exercise fires up the rhomboids, traps, erector spinae, read deltoids and lats. With a loaded barbell, roll it against your shins. Bend at your hips and knees and hold the bar with an overhand grip. Keep your lower back arched and pull up your torso. Thust your hips forward as you stand up with the barbell. Lower the bar to the floor and repeat. This version of the row allows you to use more weight that the single-arm dumbbell row. Rowing with heavier loads leads to greater muscle growth in a wide area of your back and arms. Use an underhand grip to target your rhomboids, the small muscles which begin at your spine and attach to your shoulder blades. Grab a barbell with an underhand grip around shoulder width apart, and hold it at arm’s length. Lower your torso until it’s almost parallel to the floor, and bend at your hips and knees. Let the bar hang at arm’s length. Pull the bar to your upper abs and squeeze your shoulder blades together. Slowly return to the start position.